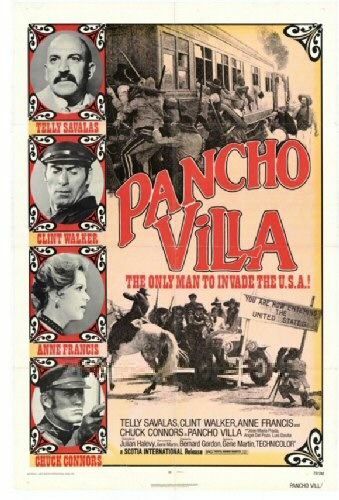 While being transported by train to Mexico City to be executed, Pancho Villa (Telly Savalas) is rescued by his men, led by his aide Scotty (Clint Walker). Once the most powerful of the Mexican revolutionaries, Villa has lost much of his influence. Needing more weapons, Villa arranges to buy guns from McDermott (Luis Davila), an American gun dealer in Columbus, New Mexico. However, McDermott decides it is more profitable in the long-term to deal with Villa’s rival Goyo, and ambushes Scotty when he arrives to pick up the weapons. Furious, Villa organizes a raid on Columbus to attract attention for attacking the US, and thus regain his dominant position among the revolutionaries. At the same time, he plans to use the raid to take revenge on McDermott. Focused on preparing for a horseshow, Colonel Wilcox (Chuck Connors), commander of the military base at Columbus, ignores all warnings of Villa’s invasion. After the fort quickly falls, Villa occupies the town and learns to his delight that a train carrying Goyo will arrive soon. In the meantime, he tries to patch up the relationship between Scotty and his estranged wife Flo (Anne Francis). When Goyo’s train arrives, Villa learns that his rival is dead and honored as a hero. 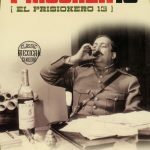 Since the desire to gain revenge on Goyo was his sole motivation, Villa loses his will to live, and only regains his energy when he reads a newspaper article about his daring attack in the United States. 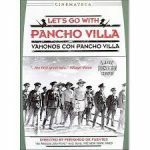 Shortly after the raid, General Jack Pershing is ordered to advance into Mexico to hunt down Pancho Villa. To be honest, the screenwriter seems to have done little research, focusing instead on the comedic elements of the script. Preferring to remember past glories, Villa spends most of his time watching film footage of victories from two years ago, including his triumphant entry into Mexico City. That scene captures the dramatic reversal in Villa’s fortunes, but does not explain why he had fallen from head of the most powerful army in the nation to leader of a large band of guerrillas. When the real Villa and Zapata led their armies in a victory march in Mexico City, the two men were at the height of their power. Six months later, most of Villa’s army had either been killed in foolhardy cavalry charges against machineguns or had deserted following several humiliating defeats, forcing him to retreat to his stronghold in Chihuahua. The film is a comedy, therefore its version of the raid on Columbus proceeds at a leisurely pace with frequent stops to capture the moment in photos. There is even a band. Admittedly, it is fun to watch, but the real attack was a raid, not a photo-op. Filled with bitterness by President Woodrow Wilson’s decision to recognize Carranza’s government, Villa led 400 men across the border towards Columbus, New Mexico in early March, 1916, killing several American ranchers and cowboys on the way. The commander of Columbus’ garrison had been warned of a villista raid, but no one really expected that Villa would dare attack an American army post. The garrison was taken by surprise on the morning of March 9, but still drove off the villistas. Eighteen Americans (eight soldiers and ten civilians) and possibly a hundred villistas died. An invasion by a Mexican guerrilla, even if it had just been a failed border raid, sent off shockwaves in the United States. Facing re-election in the fall, Wilson was duty-bound to be seen doing something, so he decided the next day that he would have to send troops into Mexico. Unwilling to be dragged into Mexico’s civil war, Wilson contacted Carranza and told him that the punitive expedition’s sole objective would be to capture Villa. After a lengthy exchange of diplomatic messages, a furious Carranza recognized that he could not stop the Americans, and finally agreed. Telly Savalas captures Villa’s vanity and habit of marrying women, but it is a comedy so they are willing. Clearly having a lot of fun, Savalas’ Villa cries with a widow, executes a relative of an official who serves Goyo, and then marries a woman who tried to kill him. 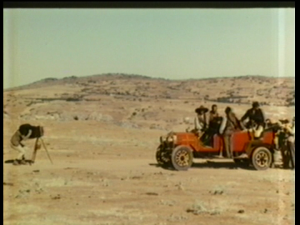 Savalas even sings the song that plays over the end credits. 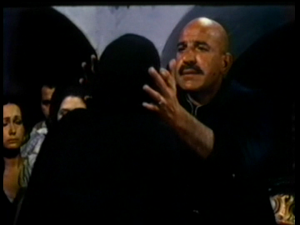 The standout scene occurs when the violent revolutionary Villa serves as the mediator between Scotty and Flo, soothing their tempers and urging each of them to let the other talk when it is his or her turn. Anne Francis is good as Scotty’s weary, realistic and straightforward wife, but Clint Walker is less interesting as the straight man to Savalas’ Villa. The action sequences are imaginative if low-budget. The climatic finale is an insane game of chicken where Villa and Colonel Wilcox stubbornly drive their trains against each other on a single track ending in a head-on train collision. In fact, the director seems fascinated with trains, since most of the action involves various scenarios of train collisions. The scenes with Villa work better than those with Wilcox. In particular, a scene where all of the American officers in the mess chase a fly resembles a scene from a Mel Brooks movie but without the humor. 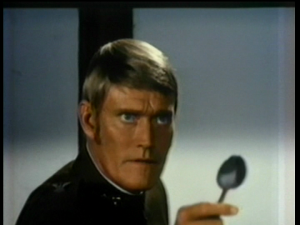 However, I have to admit that Chuck Connors had an amazing jaw. Not sure if viewers will learn anything, but it is entertaining, if weird. 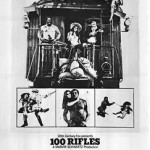 Since it is unlikely that my review will encourage anyone to watch the movie, I decided to provide a link to Telly Savalas singing the theme song over the credits.